Are you interested in working with people as well as computers? Are you interested in how computers can be used to solve organizational problems? Are you interested in how computers are incorporated in an organization's strategy for success? If so, the study of Information Systems will be of interest to you. The UNO graduate in MIS will gain a solid background in information systems fundamentals, information systems theory and practice, and information systems development, deployment and management. The graduate will also possess sharp written and oral communication skills, problem solving abilities and interpersonal efficiencies. 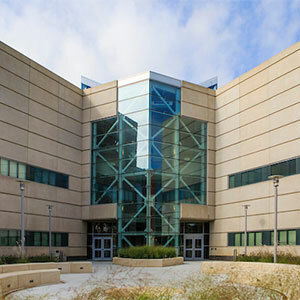 A Management Information Systems masters degree from the College of IS&T will provide students with the educational background for pursuing an exciting career in applying computers in business and government, to process data and solve a wide variety of business problems. This advanced degree will build upon knowledge and experience for MIS graduates and other IT professionals, helping to open the door for career growth opportunities. The undergraduate program in Management Information Systems provides a solid background in information systems fundamentals, information systems theory and practice, and information systems development, deployment and management. The Management Information Systems graduate program provides students with the educational background for pursuing an exciting career in applying computers in business and government, to process data and solve a wide variety of business problems. This advanced degree builds upon knowledge and experience for MIS graduates and other IT professionals, helping to open the door for career growth opportunities. Management Information Systems professionals are in high demand in industry, business, government, and education institutions. The Bachelor of Science degree in MIS will lead to careers in areas such as database design and administration, systems analysis and design, distributed systems, managing information systems, system simulations, information decision making, and applications development among other areas. Short term and long-term employment opportunities are excellent. Salaries are among the highest of any college graduate. The Federal Bureau of Labor Statistics (BLS) reports that the fastest growing occupations for U.S. employment growth are systems analysts, database administrators, and computer support specialists.